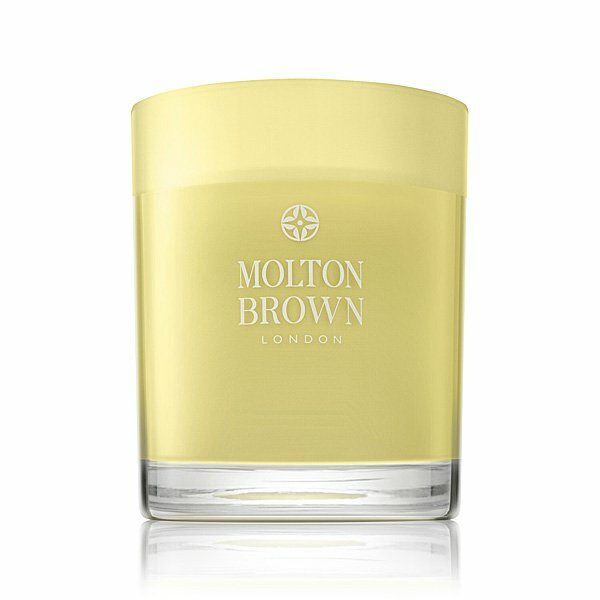 Molton Brown Orange & Bergamot Candle is the scent of London via Seville. An opulent blend with notes of bergamot, Sevillian orange oil and mandarin. Dappled shade. Fruit hanging from the trees. Scents as sunny as the sky. Lively. Zesty. Unmistakable. The Blend: Top notes: fragrant bergamot, mandarin and lemon. Middle notes: orange and ginger. Base notes: Delicate orange flower and musk. Formerly known as Naran Ji. Molton Brown Single Wick Scented Candles are expertly blended for optimum burning time and fragrance delivery, and will enkindle your space with feelings of tranquillity, warmth and energy. Housed in hand-blown glass and blended in England, Molton Brown Candles provide contemporary style and compelling scents for the home.